I realized today that I really needed to make some changes to my Teachers Pay Teachers store. My primary free item has always been a math sheet, but I no longer teach math. So, today I changed my primary free item to the sight word game I created for my second graders. 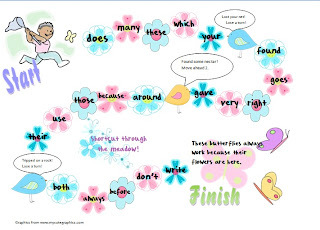 It is just a simple game board with sight words on the flowers. Students go around the board reading the words correctly. When they get to the end, they have to read a sentence correctly to win the game. But be careful, the little birdies might send you back a little! I used second grade sight words and offered this free because most of the free sight word games focus on the preprimer and primer sight words. I hope you enjoy it! I am going to create the same games for all of the other lists too, so watch for those in my store too! The best thing I found when making this was My Cute Graphics. I had a hard time finding any flowers I liked and was ready to pay for them. But, this site is wonderful! 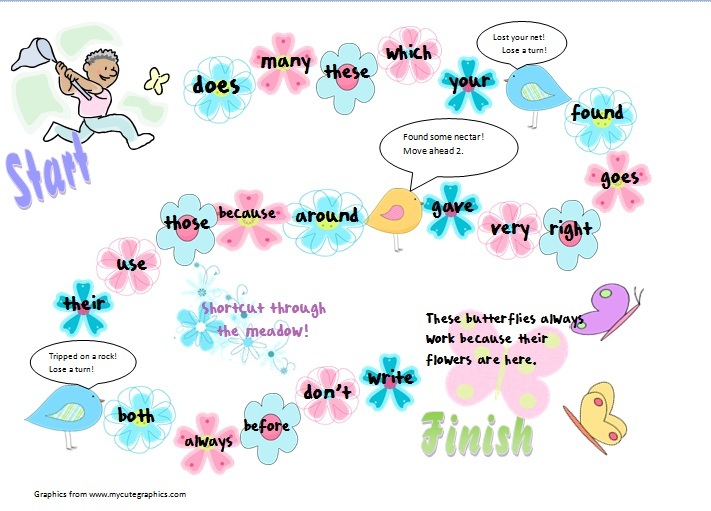 The graphics are FREE, and the creator wants teachers to use them, even to sell our materials! Wow!! Go check them out!! I have been reading many blogs lately and came across one that has given me new light on what to say in my posts. I am so glad for that because I don't always know what to say! This blog post really gave me some ideas of what to do and what not to do. http://www.theorganizedclassroomblog.com/index.php/blog/are-you-ready-to-take-the-5-star-blogger-challenge Hopefully, I will remember all of these things to remain a 5-star blogger! Time for some indulgence in TV!